Every Monday from 7.30pm. Free to enter. £50 bar slate first prize, £25 second prize, and third place wins a bottle of the bar staff’s choosing. It takes a lot of effort to write a good quiz and to do it every week is demanding. With this in mind we came up with the unorthodox solution of having the quiz attendees host the quiz – members from the regular teams take it in turn to be quiz master for the night which allows them to show off their intelligence and quiz writing mastery to their opponents. This means although the format remains steady there is a different host each week and every now and then Team Sparkle take to the hot seat (which usually means a barrage of bad puns, in-jokes and exhaustively mixed music rounds). 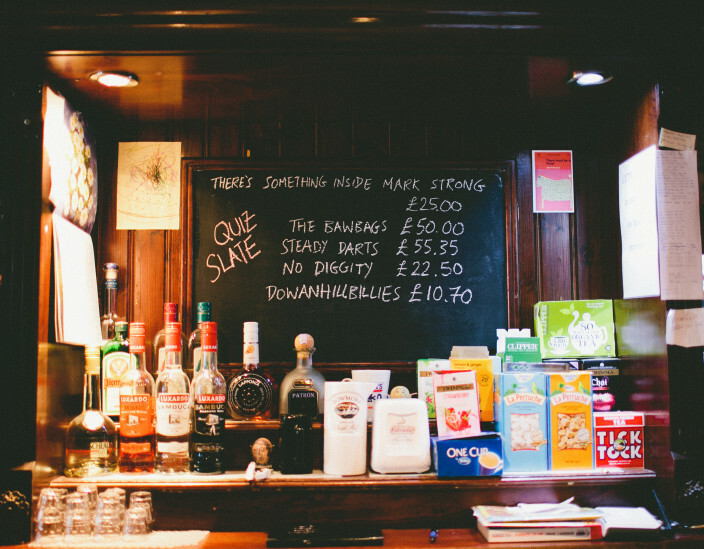 The fun is in the taking part – that said the real prize of course is winning the bar slate, not because of the free food and drink this earns but because we literally have a slate behind the bar where the victorious teams names are chalked up for everyone else to see.